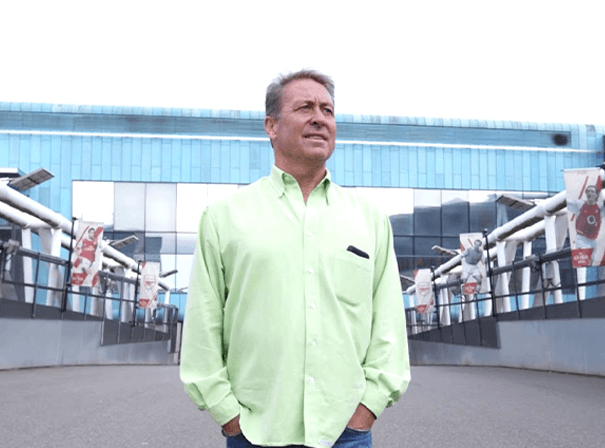 English former professional Soccerer Kenny Sansom, at one time, held the record for being the most capped national team full back. His record stood at an impressive 86 caps between 1979 and 1988 and was only eventually beaten by the great Ashley Cole. His first ever game for the national side came in May 1979 when he played in a goalless draw against Wales, but he went on to much better success such as playing in the Euros in 1988. He played all three games and was manager Bryan Robson’s first choice left back. ? Domestically, it was with Crystal Palace in London than Sansom first played for, having signed while still at school. He played for them from the age of 16 and captained the junior side to an FA Youth Cup title. In 1980, Sansom was bought by Arsenal for a fee of £1 million. After playing with the Gunners and becoming their second-most capped player of all time with a total of 77 caps (second only to Patrick Vieira) he went on to play with Newcastle, QPR and many other sides. After retiring, Sansom has had to fight some adversity but has battled back to sort out his problems and has appeared on Jeremy Kyle’s famous chat show to talk about this. In the past he has worked as a co-presenter for LBC Radio’s Saturday afternoon Soccer show, and has also been voted into an all-time best ever Crystal Palace XI team by those in the know.